Today is my birthday and I'd like to share with you an extract from a small, new book by Fr Eugene Stockton which I have purchased three copies of to present to my own children. There are a few themes covered in what I present today: the theme that is likely to be covered in the coming Encyclical of Pope Francis on our obligation to respect our planet, our environment and the rest of Creation. But it's also a commentary on how, in recent centuries we have plundered and exploited our earth and its resources and we need to take stock of what we have been doing. I think my children have been teaching me more about these things far more than I have been teaching them anything much. I'm partly giving them a copy of this book to affirm to them that I admire, respect and agree with the choices and commitments they have made. I have a trusting sense that despite these being the words of a Catholic priest, what Eugene Stockton writes about "This Land, Our Mother" will resonate deeply with views that my own children hold today — and the three of them are pretty diverse in their own political perspectives today. To run this as the lead commentary today was partly triggered by a video that Maitland brought to our attention on the forum in recent days paying homage to the American wilderness. That short video from The Atlantic I'm running as a prelude to the excerpt from Eugene's book which I re-publish here with his permission. 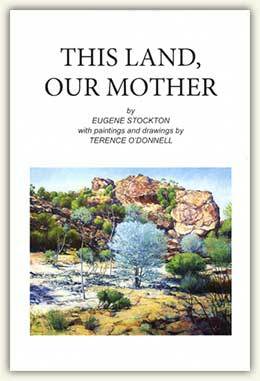 What Eugene Stockton writes might be seen as a perspective written from the other side of the Pacific Ocean on the respect we Australians need to pay both to our land, but also to its original inhabitants who nurtured it in highly sustainable ways for tens of thousands of years before the arrival of the Europeans and, more recently, people from diverse other cultures. Enjoy! Apart from the scientific interest of a few in new species of flora and fauna, the Australian bush was universally disliked. At first the soil responded niggardly to attempts at farming, as rations ran dangerously low. More successful ventures began along the banks of the Hawkesbury, but nature took its revenge in a succession of disastrous floods. There the small subsistence farms might have laid the foundations of Australian agriculture, had not Macarthur discovered wool. Once the country west of the Mountains was opened, availability of land seemed unlimited. It was there for the taking, "empty and unused", and rich squatters were not slow to acquire huge holdings. Legislation attempted to provide openings for small scale farming by selectors, but the little battlers were no match for the craft and greed of the squatters. As shipping improved other primary products were grown for export, e.g. cereals, meat. But even with a variety of products, Australian agriculture kept to the same pattern, viz. large land holding, a single commodity produced on a large scale (virtual monoculture), with little or no processing, and exported to an urban or overseas market. The land was found to hold another resource, at first gold and then other minerals, and it was there for the taking (except for a government permit), for no-one seemed to own the land. Again the independent digger began to be taken over by wealthy individuals and companies, which had capital and technology to pursue the lode into less accessible depths. As in agriculture, the tendency again was to get quick returns for the least effort, leaving any processing to be done in capital cities or overseas, with a consequent loss of jobs and workers at the place of production. Present land-usage has resulted in over-production, under-use and under-population. Over-production refers, not only to over-supply, but also to making the land produce too much of the same thing. Excessive monoculture has led to excessive depletion of certain soil nutrients and an overall imbalance. More visibly there are related problems in erosion, loss of tree cover, increasing salinity, etc. Ironically those who were deemed to be not using the land, were in fact making wiser use of it, for the hunting and gathering of Aborigines drew on a wider range of resources (animals and plants), which in turn drew on a broader base of the local biomass. This not only preserved a local balance, but since the products taken were not removed far away, but consumed and recycled on the spot, the balance of resources were kept at the same level. I have worked on archaeological surveys in some arid zones which are now more empty than before European settlement, and certainly more impoverished. Not that one would advocate a return to hunting and gathering. But there are equivalent models of agriculture, such as I have studied in the Middle East, where the local community produces a wide range of products for their immediate needs, marketing the excess in neighbouring towns. Since the processing of these products is also done locally, the local resources support the optimum number of workers and their families. Because this micro-economy is visibly integrated - everyone sees he needs everyone else - the economic activity itself builds up a strong, self-sufficient, self-reliant community, which shows itself remarkably resilient in times of crisis. It is a sad feeling that we have not really settled but are still foreigners in this country. We see that we still hug the edge of the continent and concentrate in big cities. We like to venture into the heart of the country, but we go out in virtually armoured vehicles along bitumen arteries, with other trappings of civilisation to provide us with safe insulation. At this point we are beginning to feel the need for someone to show us who we are and what we are doing in this country, for which we have both love and fear. With archaeological experience both in the Middle East and in Australia, I am astounded at the diverse histories behind the two peoples, black and white. 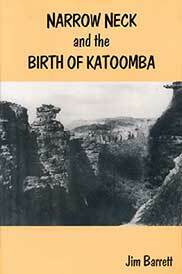 Archaeology has also provided a deeper insight into the Aboriginal people. Fieldwork can never be purely academic. You wonder to yourself how you would feel camping at this site, how you might draw on the resources of its catchment area and how the local range would appear to hunter-gatherers. You learn to tell from different assemblages of stone tools the kind of activities carried out at each site. You begin to see the base camp as a kind of human focus for the surrounding country, and its hearth as the centring for all sorts of interactive human relations of the bands which camped there. You pick up a sense of what "home" meant to these nomadic people. Sacred places begin to instil a primeval awesomeness. The land becomes alive and peopled as you enter into the skin of its long-departed inhabitants. Eugene's book has recently been published by the Blue Mountain Education & Research Trust along with a new edition of his earlier book, "The Aboriginal Gift" which explores in much greater detail what we late-comers might learn from the original inhabitants of this land. Click the image above for more information about the book in our marketplace. Local artist, Terence O'Donnell, has also contributed around a dozen stunning paintings and drawings to this slim volume one of which you can see on the cover above. As each new find of Australian archaeology becomes public knowledge, it is met with blasé interest, but to me the comparisons with Old World prehistory are startling. When people speak glibly of 40,000 years of Aboriginal occupation, do they realise that it means Modern Man was in Australia before he was in Europe, and long before the Americas? The figure 40,000 is for certainly known occupation, with indications of much higher antiquity — 80,000 or 120,000 who knows — while the science of molecular biology suggests that one component of the Aboriginal people branched off from the rest of the human family much earlier still. This means a race of people separated from the rest of mankind longer than any other, and so differing genetically and culturally from our own (or any other) far more than the differences between any two races on earth. It means that the Aboriginal people were in continuous occupation of their land, a continent at that, for a much longer time than any other people on earth, past or present. By contrast to the Middle East, where you know the people whose site you are excavating had probably been over-run, exterminated, absorbed or dispersed by later arrivals, in Australia you have an eerie awareness that people represented by every level in your trench were ancestors to people still living in Australia, perhaps close by. Old World prehistory is the story of turbulent jostling between peoples, with conflict, advance and retreat, oppression and slavery, class struggle and exploitation, diffusion of new technologies and ideas, growing apparatus of power and social organisation — a story of development resulting from interaction, both violent and peaceful, between peoples. The extraordinary length of time Aboriginal people were in Australia did not know war, subjection of one group by another or inequalities of wealth or power. The development of technologies, ideas, religion and social ordering were all, as far as we can tell, indigenous and internal, with few if any influences from outside. One is faced with a purity of race, culture and religion unparalleled in the rest of the world. Yet neither was there stagnation. After the initial sea crossing from South East Asia — in itself an incredible feat and the earliest known for man - the new arrivals had to condition themselves to a whole new suite of flora and fauna. Gradually the people multiplied and spread across the continent, being found in the south-west (Upper Swan) and south-east (Mungo) by at least 40,000 years ago. Artefacts dating up to 50,000 years old have been found along the Nepean River. My own excavations show their presence in the Blue Mountains at 22,000 years ago, about the same time as occupation in the desert of South Australia and in the bleak mountains of south-west Tasmania, so that by the height of the last Ice Age Aborigines could be claimed to occupy every ecological niche of Australia. The last Ice Age brought on the most arid period in the human occupancy of Australia about 20,000 years ago. The retreat of the Ice Age raised sea levels by 150 metres and reduced the dry land mass by a fifth. By 12,000 the Tasmanians were cut off by rising sea levels, never again to see another human being till European settlement, while New Guinea was separated from Australia by 8,000 years. After sea levels had settled at their present height 6,000 years ago and the climate had greatly improved, the pace of developments quickened. Archaeological data show evidence of marked population growth, new technologies, improved methods of getting food, use of new resources and other cultural developments, including probably the elaborate religious and social apparatus which amazes anthropologists today. However interest in matters spiritual is evidenced back to a great antiquity in the form of rock art, ochre painting, special burial practices and religiously significant ornamentation - some as old, or older, than comparable finds elsewhere in the world. What the archaeological record cannot show, but can only be surmised from current ethnography, is that the long partnership between a land and its people had nurtured a spiritual attuneness of one to the other to the point of becoming one. Closer to European contact, constructional ingenuity was shown in planning and building large stone traps for fish and eel, permanent huts and even villages of stone houses. There were signs of careful land management by fire and the harvesting of useful crops. Aborigines were on the verge of sedentarisation and the further technical developments which other societies at a similar stage had gone on to pursue, when Europeans sailed into Botany Bay. What those Europeans met were a people who had never had durable contact or cultural exchange with any other people, the normal lot of other races, and, given the long isolation, a people more unlike them than any other race on earth. So began the severest and most unequal culture clash in the history of mankind. That story is too well known to need detailing here, and perhaps it is too soon to tell the story of how a people from the point of near extinction, rallied in the middle of the 20th Century and began to grow in numbers, in confidence, in leadership, in the ability to control their own lives and in the assertion of their spiritual ideals and practice. This book to me is already a bit like that Prayer Card Meditation from John Henry Newman that I re-published on our forum earlier today that I've kept with some kind of special reverence and attachment from many decades ago [LINK]. It's like the special books that I'd never discard at Vinnies or sell at a Sunday market. To me it is one of those "foundational books" that says very deep things about my own spirituality and outlook today. I have a sense that my own children may in time to value this small gift from their father in much the same way that I have books and other heirlooms passed down from my parents and grandparents that one day I will also pass on to them. 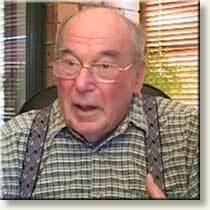 Fr Eugene Stockton. Submitted to Catholica 25 May 2015.